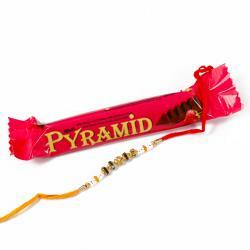 Raffaello Chocolate Bar (Weight : 30 Gms) and Beautiful Rakhi thread with White pearl between Diamond chain along with Kumkum Chawal. 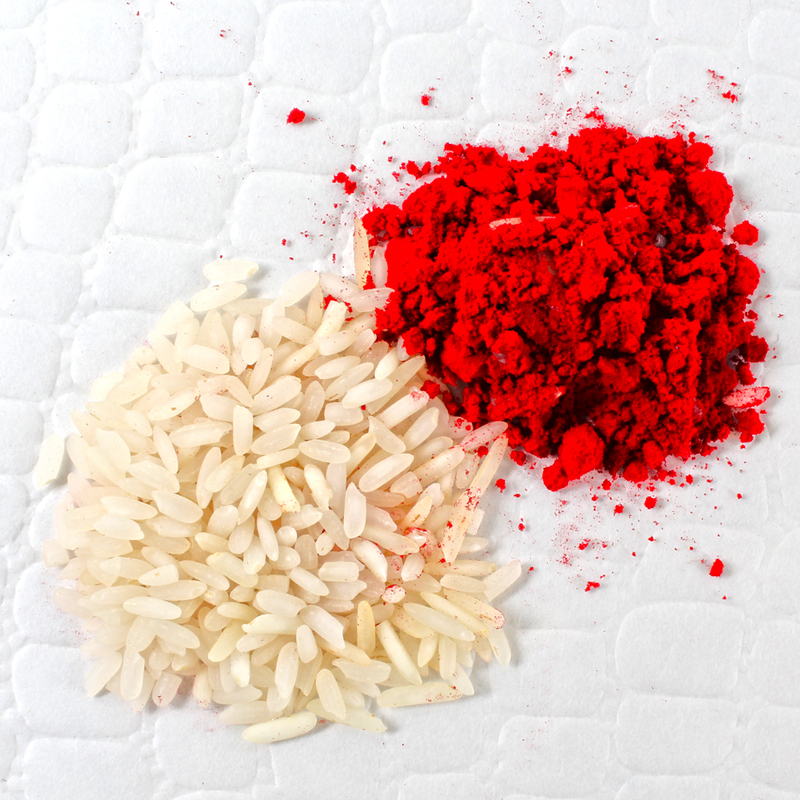 Raksha Bandhan can strengthen the bond between the brother and sister. Beautifully designed Rakhi that will charm you with its lovely ethnic design and will adorn your brothers wrist quite wonderfully indeed. 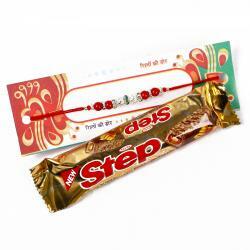 Sending the Spectacular Rakhi is a wonderful way to express your love and care for your dear brother. So it surely makes your brothers feel special by shop this beautiful rakhi thread to carry with white pearls looks stunning. 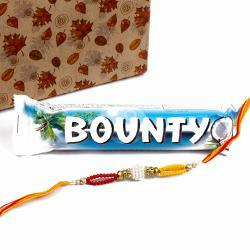 This Rakhi thread is making your festival more enthusiastic and makes best ever occasion for Raksha Bandhan. 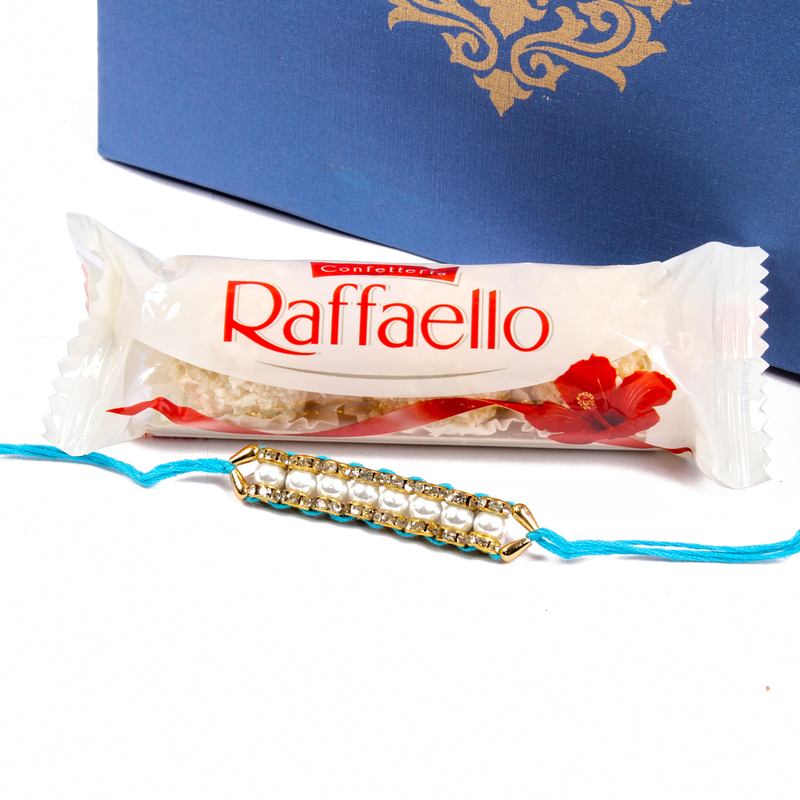 Product Includes: Raffaello Chocolate Bar (Weight : 30 Gms), Beautiful Rakhi thread with white pearls between diamond chains and kumkum chawal.